Purity Revealed – and Fast! When toxin-retention prevents your skin from truly coming clean, it’s time to peel away the problem. Powered by 6% Alpha Hydroxy Acids, the unique Fruit Acid Detox Fusion helps this fast-acting gel quickly eliminate dull surface cells, dissolve stubborn pollutants and release imbedded toxins. In just minutes, pores seem to disappear and skin looks bright, smooth and completely revitalized. Spread a generous layer over clean face and neck. Leave on for 1 to 5 minutes (you’ll feel a little tingle). Rinse thoroughly. Start with applications 2 times per week and build up frequency as needed. If bothersome dryness or irritation occurs, reduce frequency and/or length of application. May make skin more vulnerable to sun exposure, so don’t forget your sunscreen. Aqua (water), alcohol (1), vaccinium myrtillus fruit extract, glycerin, propanediol, aloe barbadensis leaf juice (1), xanthan gum, citrus aurantium bergamia (bergamot) fruit oil (1), saccharum officinarum (sugar cane) extract, acer saccharum (sugar maple) extract, algae extract, citrus aurantium dulcis (orange) fruit extract, citrus limon (lemon) fruit extract, fragaria vesca (strawberry) fruit extract (1), lactobacillus/arundinaria gigantea ferment filtrate, leuconostoc/radish root ferment filtrate, olea europaea (olive) leaf extract, panax ginseng root extract, pyrus malus (apple) fruit extract, rubus fruticosus (blackberry) fruit extract, vitis vinifera (grape) fruit extract, citric acid, lactic acid, salicylic acid, sea silt, tocopheryl acetate, citrus aurantifolia (lime) oil (2), citrus aurantium dulcis (orange) peel oil (2), citrus grandis (grapefruit) peel oil (2), citrus limon (lemon) peel oil (2), citrus nobilis (mandarin orange) peel oil (2), prunus amygdalus dulcis (sweet almond) oil (2), benzyl alcohol, phenoxyethanol, potassium sorbate, sodium benzoate, citral, limonene. Sunburn Alert: This product contains an alpha hydroxy acid (AHA) that may increase your skin's sensitivity to the sun and particularly the possibility of sunburn. 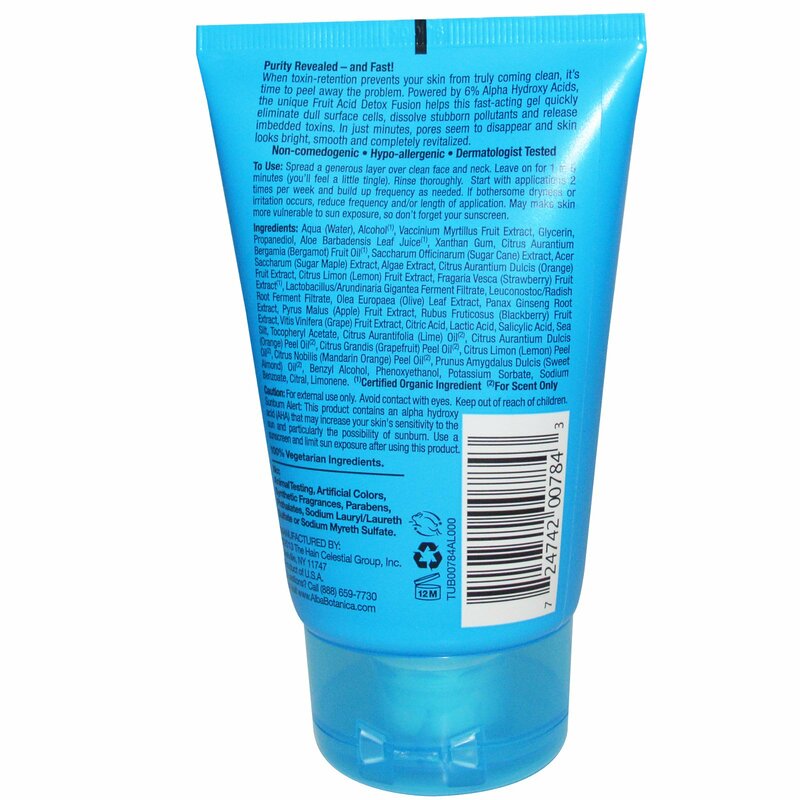 Use a sunscreen and limit sun exposure after using this product.